Woodchuck Lodge is open for tours from 11am to 1pm and 2pm to 3pm on Saturday, and from 11am to 3pm on Sunday, September 4th. There is no admission fee; donations are always gratefully received. The Lodge shop will be open, offering a variety of books and locally crafted items from nature. Annie Mardiney is a NYS and USFWS licensed wild bird rehabilitator and educator with 12 years of hands-on work with wild birds of all kinds. She will bring some of her “unreleasable” owls and hawks, and perhaps a songbird or two. She will describe their amazing skills, major threats to their survival in the wild, and how people who care can get involved as birders, rehabilitators, or by making their own ecological footprints smaller. This program is especially appropriate for Woodchuck Lodge, which was the summer home of famed Roxbury native John Burroughs, a naturalist and writer known as “John o’ Birds” for his deep knowledge of birds and their songs, appearance and habits. 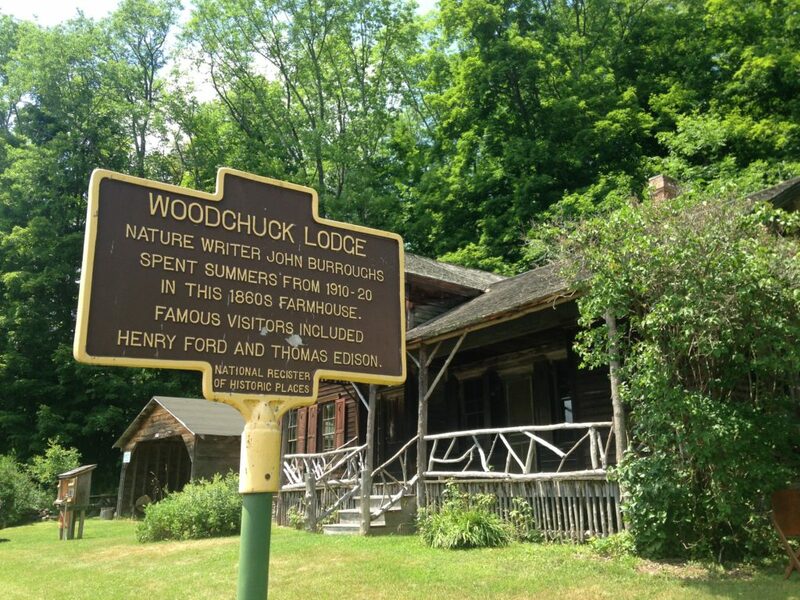 For more information on John Burroughs and the activities of the non-profit organization that preserves his beloved Woodchuck Lodge, click here.